Unless you’ve been living in a dark cave on Mars, wearing a blindfold and keeping your fingers in your ears, you’ll probably be aware that Sony and Microsoft are about to launch their newest machines, Playstation 4 and Xbox One. Previous iterations were simply known as games consoles. Although Sony is keen to point out that gaming remains at the heart of the PS4 experience, compared to Microsoft who totes its device as a complete entertainment system, they are both there to entertain regardless of their advertising propaganda. I love video games as much as books and movies and I’ve been eagerly awaiting the launch of the PS4 and Xbox One. If you delve into the hardware specifications you’ll find plenty of fan-boys raving and ranting over which is best. Both have their merits and in the end people will buy and enjoy the one that suits them best. No, dear blog reader, this is not a rant about technology. It’s a dig at technophobes. 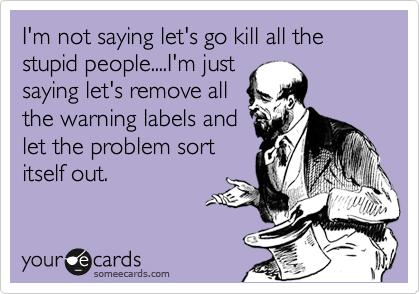 Or morons as I call them. Hey, it’s my blog, I can call them whatever I like. I both love and loathe technology. The advances made in technology since my mother plopped me out are astounding – I remember things like VHS where the remote control was attached to a cable, the original Walkman the size of a shoe box, those fabulous brick mobile phones and the evolution of all those lovely consoles, computers, cars, gadgets and everything in between. Yet for all these modern marvels that supposedly enrich our lives and make every day living easier and better, I’d be more than happy to give up every shred of technology I own for a peaceful life in a hut by the sea. I’m not afraid of technology, I simply know I could walk away and live without it. When the apocalypse comes I’ll be one of the few with a smile on my face. Yeah, great, what’s this about the Tin Foil Hat Society? What prompted this post was an article I read on the Guardian website – Xbox One: USS Enterprise or HAL? Written by Cara Ellison. On my first read through I thought the article was entertaining with some interesting tidbits for the average reader whose knowledge about the next generation of games machines is possibly limited to advertising, or what their children insist Santa Claus must bring them at Christmas. In case you don’t know, the Kinect is a camera of sorts, that’s plugged into the Xbox One. It has facial and body recognition, scans the room using various methods like infra-red, depth perception and other fun stuff. Essentially its purpose is to respond to gestures that enable the user to interact with the machine in new ways. SkipperD’s comment bothered me. I sat in my chair for a while trying to work out if that was a joke or serious. There’s no smiley or hint of sarcasm so I took it as a serious comment which, together with other comments, led me to believe many people don’t understand how things work. People aren’t that stupid, are they? SkipperD used either a computer, phone or tablet to make that comment. Therefore it’s reasonable to assume skipperD has a certain level of understanding of technology in order to use one of these devices. What staggers me is the assumption that skipperD thinks the NSA or other spy agencies is interested in them. Or that any data captured by a games machine is being harvested by anyone. And before you comment, no, I’m not being naive. Society hasn’t secretly slipped into an Orwellien themed nightmare where big brother watches our every move. Yes, we now have targeted advertising, which some dislike with weird intensity, but so what? Why is that such a big deal? Wouldn’t you rather have adverts showing you stuff that you like than random crap you don’t need or have shown no interest in? Xbox One is an entertainment machine. It sits there waiting for instruction from the user. There’s no secret room tucked away in a maximum security compound, crammed with video screens where a pale-faced crew of “watchers” oversea and evaluate everything you say and do. Can you imagine how much internet bandwidth would be used up by every Xbox or PS4 sending that amount of data back to a secret server farm? The idea is ridiculous. Some data is recorded, that’s a given, like when you use Netflix and it offers suggestions on what to watch next. But the NSA watching people slouching in front of their Xbox? Dave, mate, the Tin Foil Hat Society? Okay, I’m getting there. Promise. The Xbox One is a games console pretending to be the computer from the USS Enterprise. A hypothetical Star Trek: The Next Generation episode where Commander Riker says, “Computer, tell me how handsome my beard is” and it obediently shows him mug shots of his face before he logs into Forza Motorsport 5, is sort of what they are aiming for. It is NOT pretending to be a the computer from the USS Enterprise. As I expect a certain level of intelligence from someone writing for the Guardian, I questioned why anyone would write something like this. Perhaps it was meant to be a funny, or thought-provoking. It’s neither of these things. And no, they’re not aiming for that at all. But Xbox One is not running on spaceships and it has no holodeck yet. At least, that is not written on the fact sheet that I was given. Perhaps the holodeck is DLC. What I do know is that Microsoft wants to conveniently integrate every living room service – TV, games, apps and internet browser – into one black box the size of a breeze block and have you sternly give it instructions like it’s a naughty puppy. Notice the word “yet” in the first sentence. There is no yet. Xbox One isn’t ever going to have a holodeck. That’s science fiction and even if it were a possibility it would require vastly more computer power to generate a solid hologram than a games machine of today’s standards. 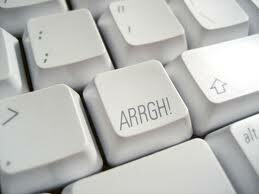 I want a button on my keyboard like this one. This is more exciting than I’ve made it sound: the joke where you say, “Xbox, sit. Good Xbox. Xbox, go to Bing. Xbox, search for Google,” actually has more longevity than you might first assume – not least because voice commands really work now. But it does come off as an incredibly nosy piece of surveillance equipment – sometimes you wonder if all this integration is just so that metrics can be taken on how long you can stand watching someone murder a hit song on X Factor before you boot up Call of Duty to shoot virtual people in the neck. The key phrase “incredibly nosy piece of surveillance equipment” angered me. It’s not nosy in the same way your phone isn’t nosy. Or your kettle. It’s not surveillance equipment either, not in that sense. How can anyone truly believe that any games machine is interested in watching you watching a TV show then trying to figure out why it makes you shoot people in a game? My point is that the article in question wasn’t written in jest, though very mild humour was used to engage the reader, and shows how little people know of (or take an interest) in the world around them. 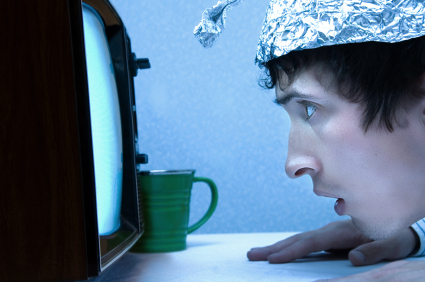 The article and almost every comment comes from the point of view of the Tin Foil Hat Society. Every slither of technology they don’t understand scares them unnecessarily. Why can’t people take time to understand what it is they think frightens them before making a knee-jerk reaction? The TFHS are morons at best. There are scraps of moss and lichen in my back garden with more intelligence. TFHS – Go live in a cave. I could understand if someone took the time to learn and understand something new, and then if it still frightens them because if XYZ, they declare that fear through reasonable argument and thoughtful debate. But no. The TFHS are given to making wild statements without hard facts to back them up. No one is watching you the way you think. Technology isn’t a means to keep you hitting the button for another tasty treat. Advancements in science and technology aren’t the work of the devil. A games machine isn’t evil. Members of the TFHS don’t always wear silly hats. They don’t all believe they’ve been abducted by aliens. They walk among us like normal people and you’d be hard pressed to spot one. Until they try and join an intelligent debate. That’s when you know you’re in the company of a moron. Sums up my feelings about the entire article and every comment. Well said ub313. That’s it. I’m done. Rant over. Deep breaths. It’s just that morons annoy me. I’m really finished now. Promise. 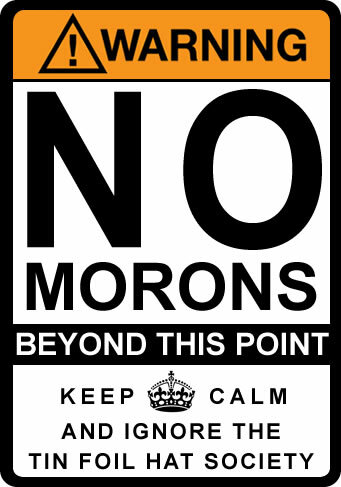 Here’s a handy sign for you if you’re with me on the TFHS moron plague. It’s like a zombie plague except these guys wear tin foil hats and have 0.001% more intelligence than zombies. They both speak gibberish though. 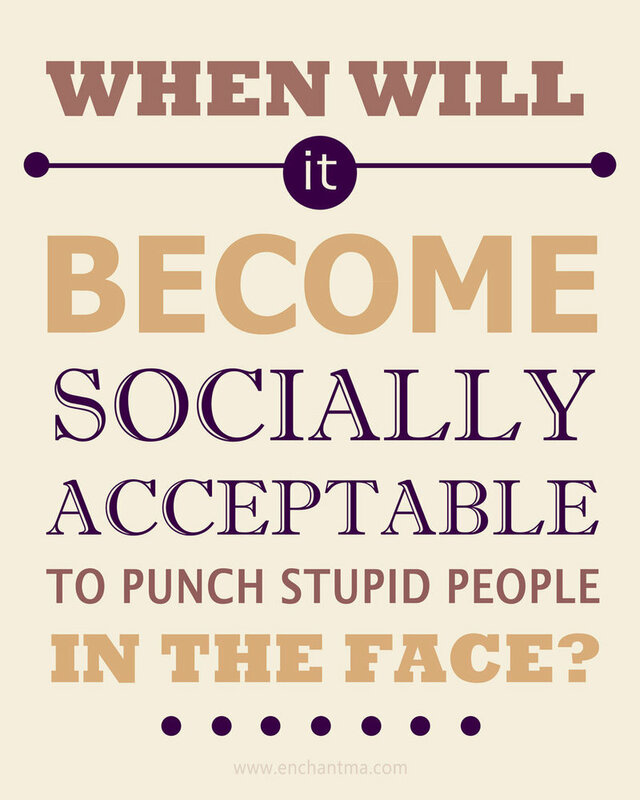 Stupid People image by enchantma on deviantArt. Is too much technology bad for you? ← Does winter make people angry?